Meet Tulip! 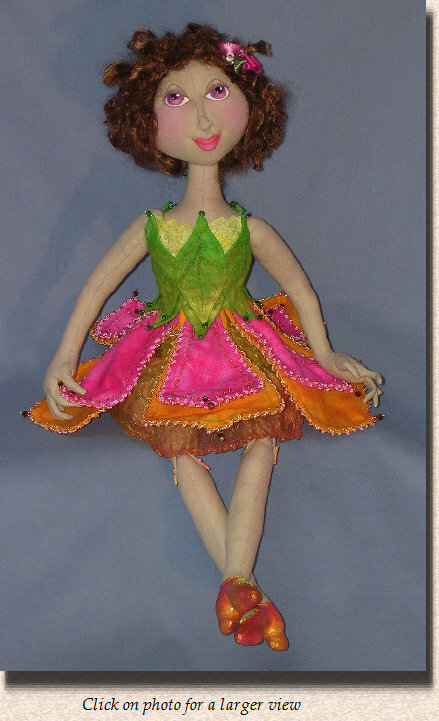 She is a bright, beaded, flower fairy doll with a beaded and wired petal skirt. The skirt may be curled or gently bent. The bodice is made up of embellished leaves applied directly to her body. Standing at 18 inches tall, she is able to sit, bend her knees, and has articulated fingers. She will stand with a support. 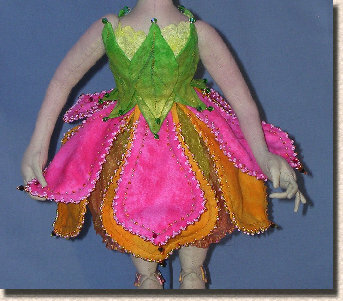 Use your brightest fat quarters for her petal skirt and leaf bodice. 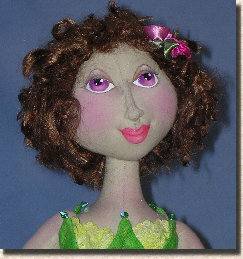 Her body is made from woven fabric and her hair can be craft fiber, yarn or natural fiber. 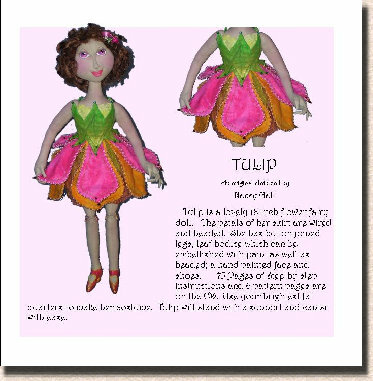 The 81 page pattern comes complete the with beading and wiring instructions for the petal skirt, beading and optional painting embellishment on the leaves and detailed painting instructions for the face. The pattern is also available as an E-Pattern through ETSY in PDF Format only. Pattern will be emailed to you after payment is received. E-Pattern Price $15.00 NO SHIPPING!